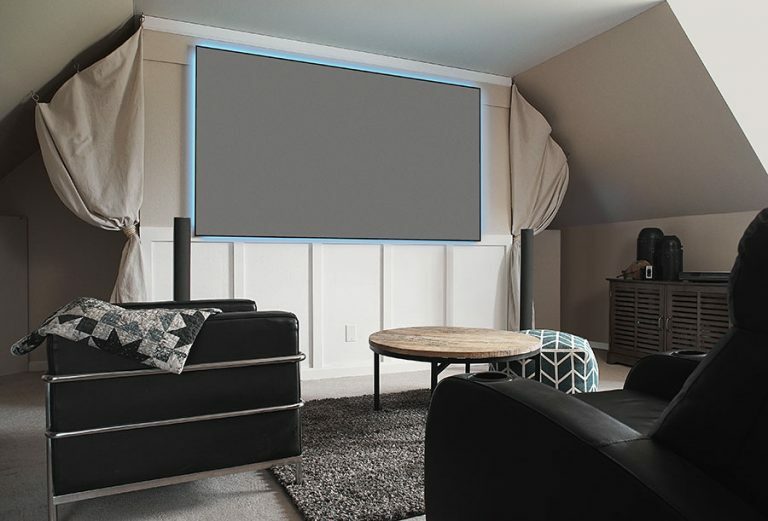 The Polar Star® eFinity Series from Elite Prime Vision® is an internal-frame projection screen with the wraparound material design that is better known as EDGE FREE® because of its lack of a traditional external framework. 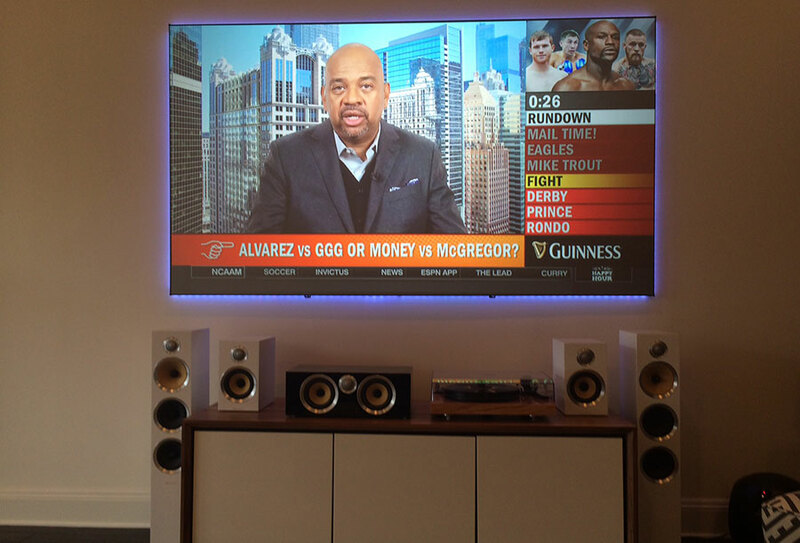 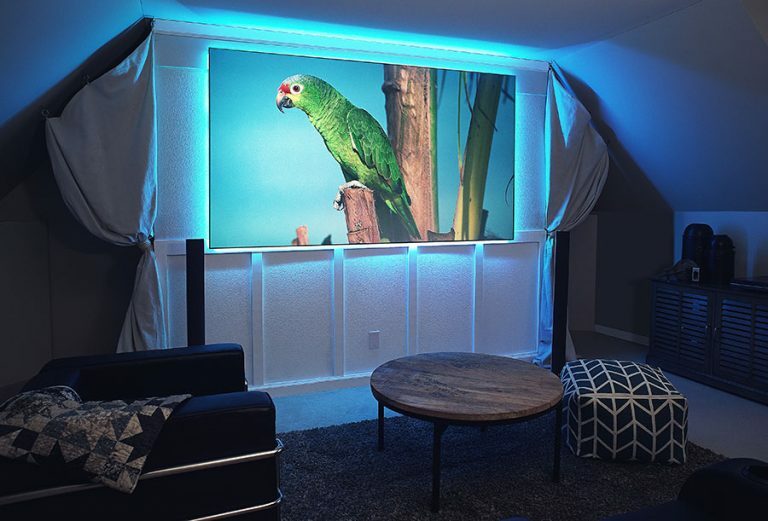 The eFinity EDGE FREE® maximizes the viewing area in a smaller space footprint without compromizing the screen’s structural integrity. 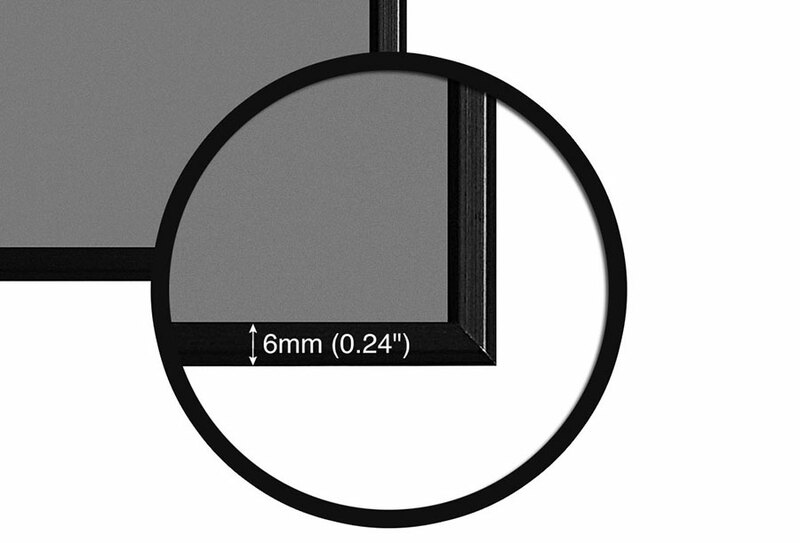 It includes a micro-thin 6mm black bezel and a backlight LED kit with Infrared remote control. EPV®’s Polar Star® eFinity nicely complements any interior decor with clean liness and an elegant “EDGE FREE®” design. It provides a stunning image that doesn’t wash out even in bright ambient light. 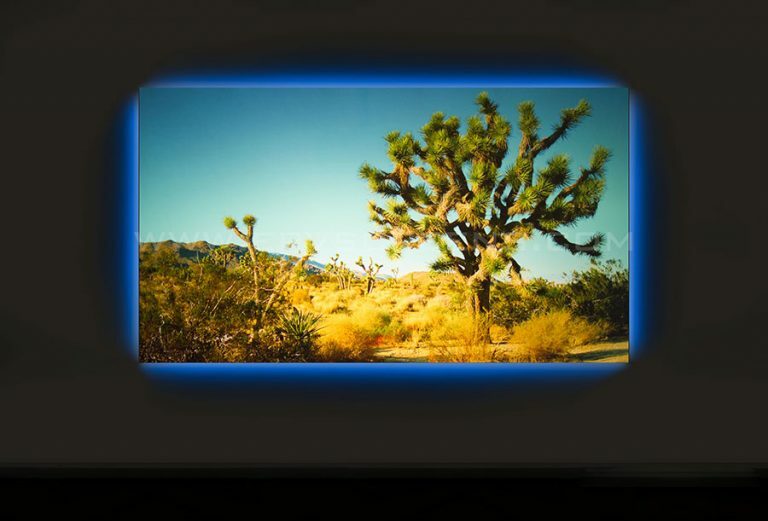 The Polar Star® material’s reflective properties and diffusion layer allow images to have sharp contrast levels with a spot-on neutral color temperature. 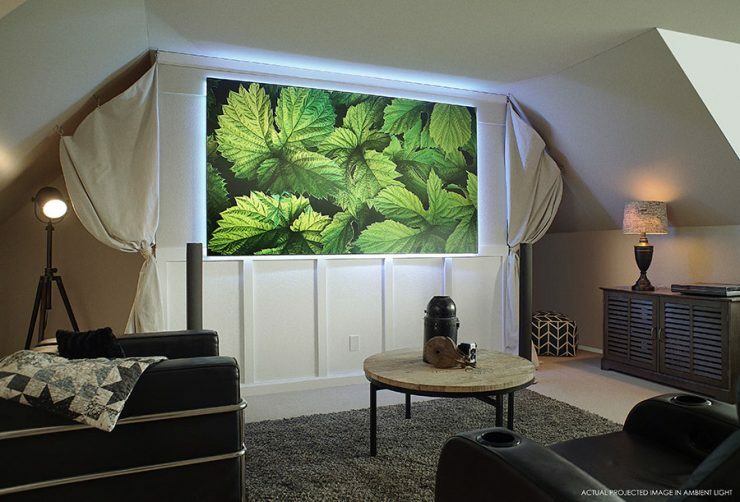 It’s the ultimate multi-purpose projection screen for virtually any indoor projection environment. 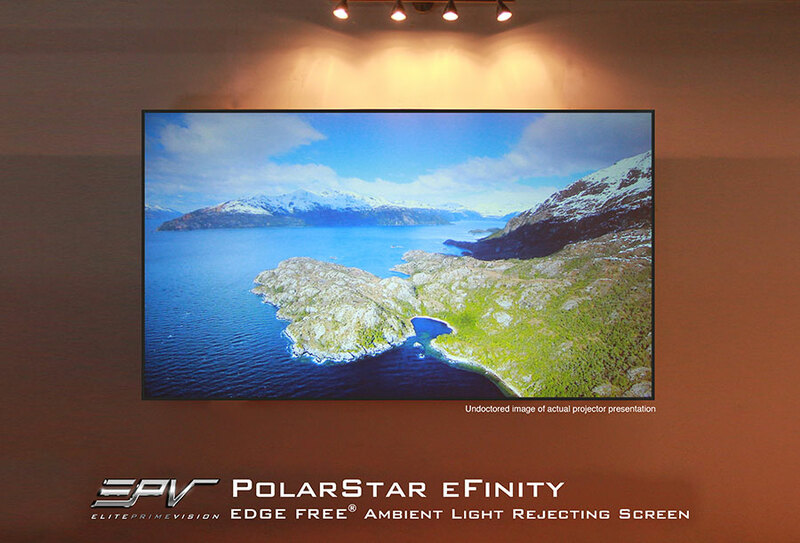 The Polar Star® is polarizd for Passive 3D applications and is Active 3D and 4K Ultra HD ready. 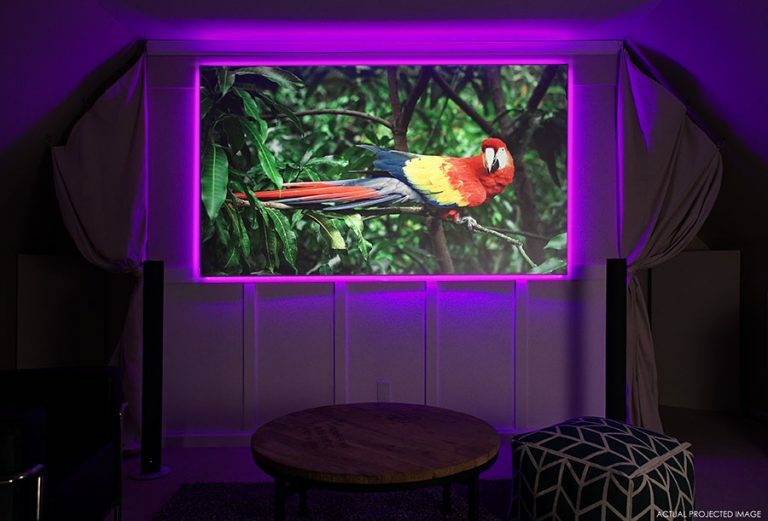 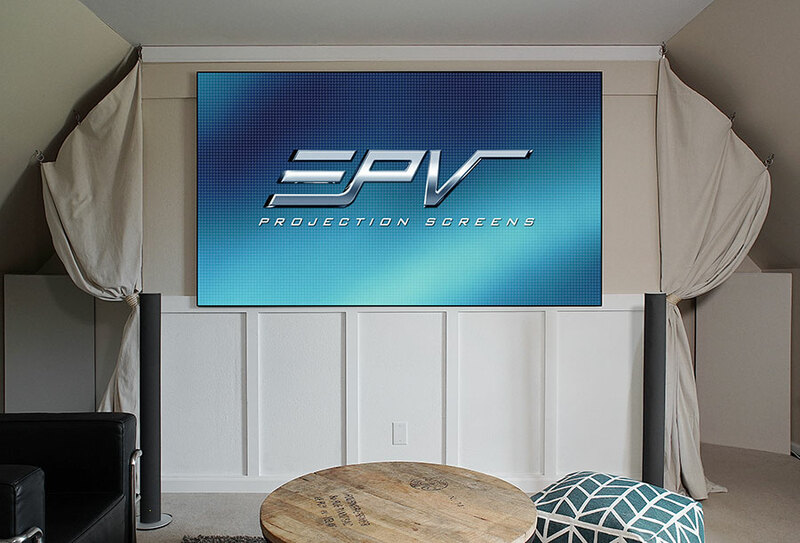 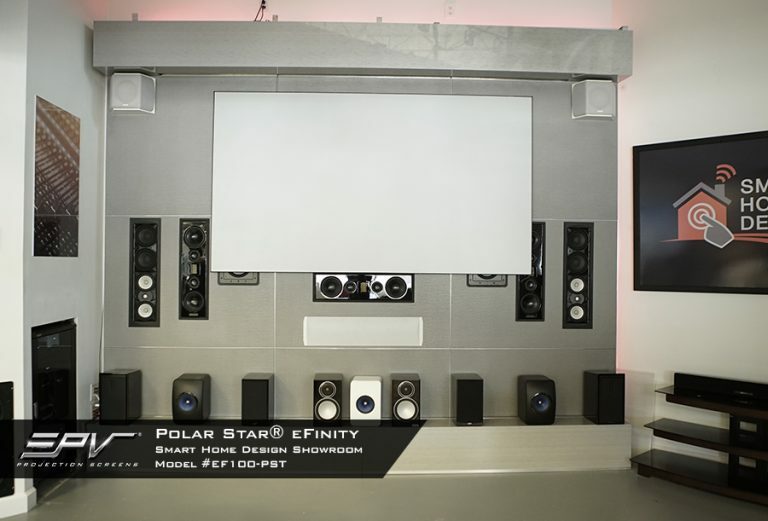 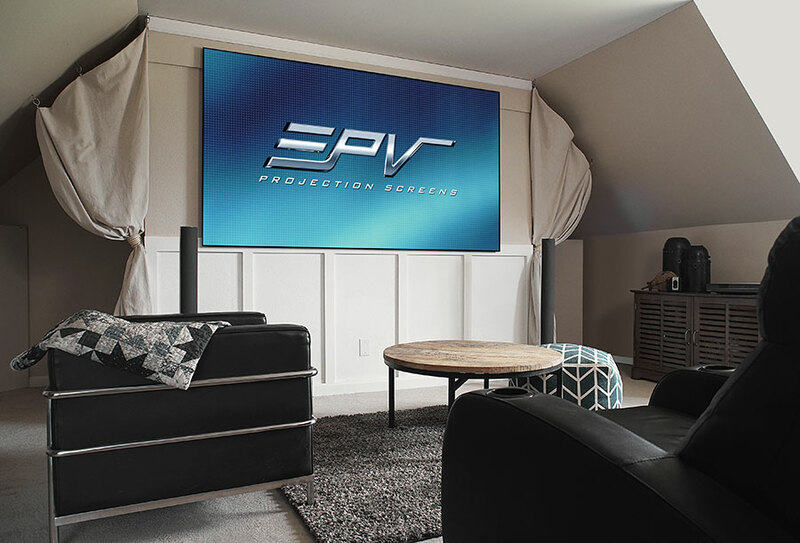 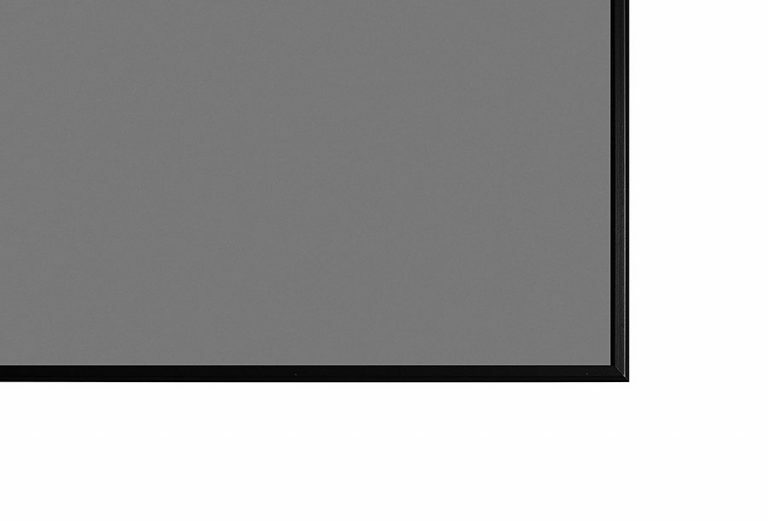 The Polar Star® eFinity Series from Elite Prime Vision® is an EDGE FREE® projection screen that forgoes the external frame border (edge) as seen in traditional projection screen frames. 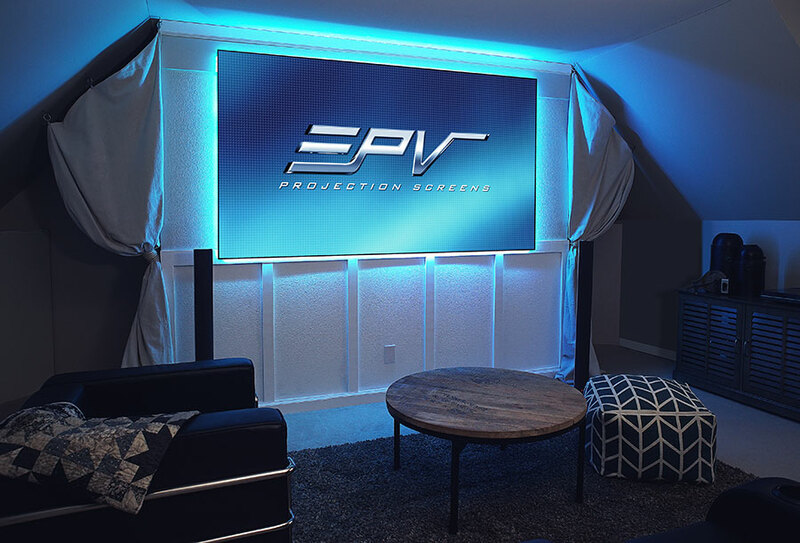 Its structural framework is enshrouded by the wraparound ambient light rejecting (ALR) projection material. This stylish new design complements interior decor with a sleek appearance that is universal in its application. 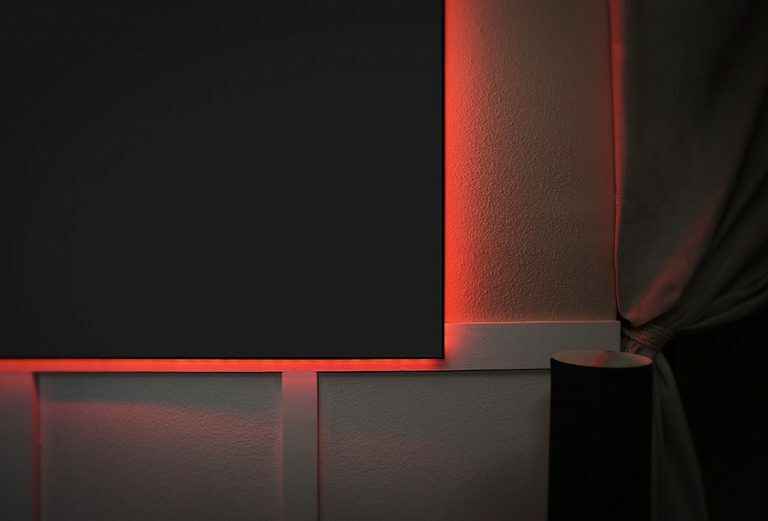 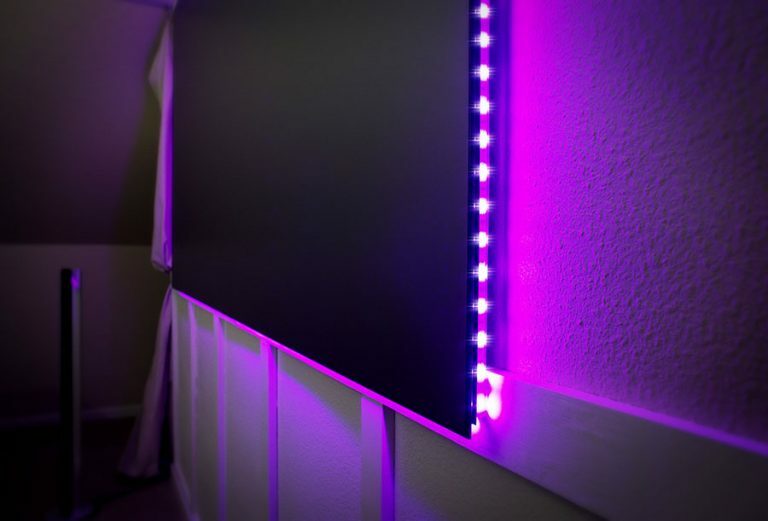 A LED backlighting kit transforms the screen into an attractive mood lighting fixture regardless of whether the projector is in user or not.